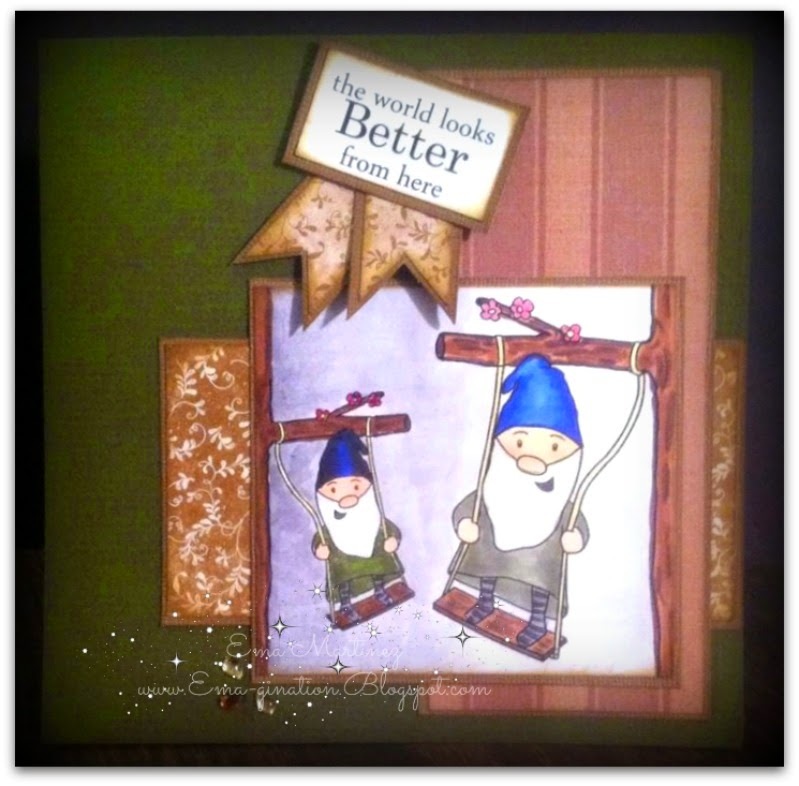 This week, at Inspiration Destination Challenge Blog, we have My Whimsical Little World as one of the sponsors. Paola released some cute little gnomes doing all sorts of things and this one is... well... swinging! lol I used two of the images and flipped one of them. I was trying to make it look like one is further back in the distance and one was closer. Do you think I accomplished this? Let me explain something to you. I'm, once again, rearranging my home. Ninety percent of my crafting supplies are still in the old location and very few things are in the new location. I had a time finding anything to complete this project as I wanted. I had bigger plans for it but I like how it came out with my limited resources. Thanks for stopping by my place. I hope you can swing on by IDCB and check out what my teammates have created as well! Such an adorable card! Cute sentiment! Thanks for playing with us at Craft your Passion#251. Hope to see you again!